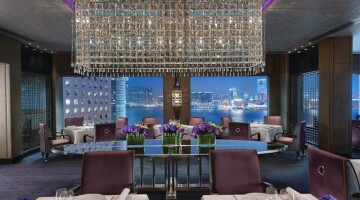 Pierre is the stunning two-Michelin-starred restaurant, situated on the 25th floor that offers floor-to-ceiling windows framing Victoria Harbour and is Pierre Gagnaire’s pied-a-terre in Hong Kong. 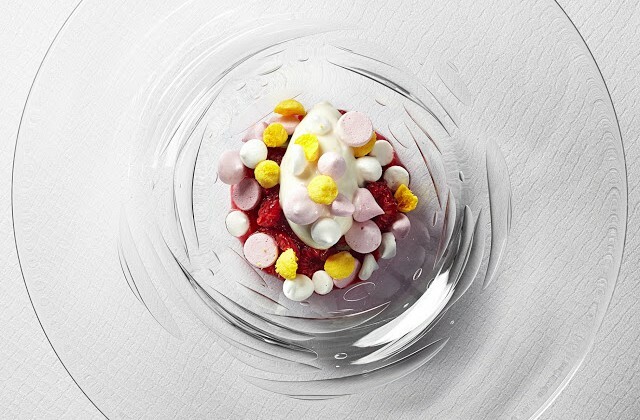 Gagnaire is a wizard of innovative French gastronomy, and one of the most original and artistic chefs in the world today. His astonishingly intricate and elaborate dishes are often described as “modern French”, although his style remains firmly rooted in the French cooking tradition, resulting in dishes that are exquisitely presented and utterly original. The menu changes seasonally, with express lunch and dégustation dinner menus served alongside the à-la-carte choices, while a private dining room for 14 people offers the ultimate in exclusiveness at any time of the year.